I was recently perusing my bookshelves for something to read (this comes up less often than you’d think—usually I have a stack from the library) and settled on an old favorite classic: Rebecca by Daphne du Maurier. The tale begins with one of my favorite opening lines in all of literature: “Last night I dreamt I went to Manderley again.” (It’s best in a British accent, and preferably Joan Fontaine’s voice.) 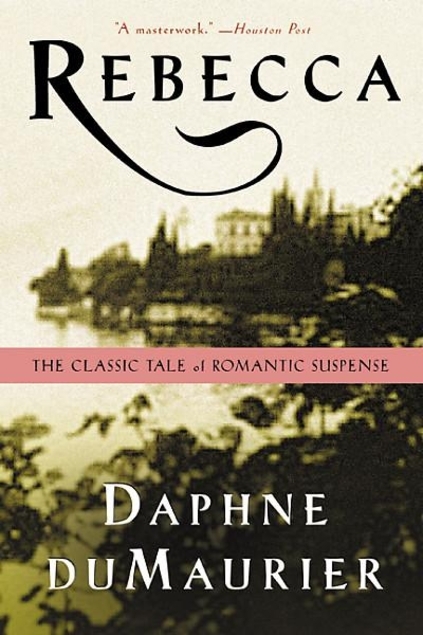 The never-named narrator goes on to describe her whirlwind courtship with Maxim de Winter, her arrival with him at his ancestral estate of Manderley, and her growing realization that the memory of the deceased Rebecca, the first Mrs. de Winter, still holds powerful sway over the house and their lives. This is a delightful, wonderful read in so many, many ways. I love the narrator, the second Mrs. de Winter. I love that we never learn her name—that’s such a brilliant writing device. Throughout the book she’s overwhelmed by the overwhelming presence of Rebecca, and even her name is obscured. The second Mrs. de Winter also slots nicely into a couple of my favorite literary types. I love heroines who think they’re ordinary who discover their own power, and I have a serious soft spot for children who are disregarded by the adults in their lives. The second Mrs. de Winter is definitely the first type, and has elements of the second too, even though she’s twenty-one. Maxim does see and appreciate her when he meets her, but unfortunately joins a long list of literary heroes (including Mr. Rochester and Mr. Darcy) who do not use their words. Causing, of course, far more complications and therefore plot. Maxim is, in an odd way, not the most significant character after the narrator. I think that slot has to go to the wonderful, creepy, terrible Mrs. Danvers. Manderley’s housekeeper, she simply worshiped Rebecca. She continues caring for Rebecca’s room and belongings, continues running the house just as Rebecca would have ordered, and cannot stand this weak new interloper who will never equal her Mrs. de Winter. She’s an excellent psychological villain, never committing violence but so very, very awful in everything she says and does. The most significant character, even more than the second Mrs. de Winter, is very likely Rebecca herself, of course. Dead before the book starts, never appearing even in a flashback (though a few characters recount extremely detailed memories), she’s still an incredibly strong presence in the book. It’s masterfully done. On the subject of Rebecca, a spoiler in white text (highlight to read): Rereading this, I realized I had all but forgotten that Rebecca’s true nature is a secret for most of the book. I’m so used to it, I could see all the hints and clues along the way, while du Maurier still misdirects the reader. It’s beautifully written! To me this book is inescapably linked with its movie version, the Alfred Hitchcock film starring Joan Fontaine and Laurence Olivier, with Judith Anderson as Mrs. Danvers. I saw the film before reading the book for the first time (both many years ago) so that slants my view, but the casting feels perfect. I’m sure I saw all these characters in my mind as their movie versions while reading. Hitchcock evokes a wonderful creepy and mysterious atmosphere, and actually improves on the ending. My only significant critique of the book is that the ending is too abrupt and inconclusive. Hitchcock ups the drama and gives it a more satisfying end. An abrupt ending is a minor complaint though. Rebecca throughout has gorgeous writing, vivid characters, wonderful suspense…and it’s one of my favorites. I love this book and Hitchcock’s film adaptation 🙂 Since reading this, I have been adding more of du Maurier’s novels to my TBR pile.